So, you're dreaming of a remarkable African safari? You've come to the right people. Meet Steve Conradie and Andre Van Kets, two South Africans whose passions are to share Africa’s most incredible safari experiences. They’ve both done a considerable amount of travelling in Africa, and have met some pretty amazing destination experts along the way. With their help, Steve and Andre hand-picked each and every accommodation, activity and tour operator that’s on our safari menu – all of which satisfy an appetite for quality, safety and ethics. Based in Cape Town, with partners all over sub-Saharan Africa, the Discover Africa Group has helped travellers discover Africa since 2002. With more than 40 years’ collective experience in the African travel industry, we have the expertise to make sure you enjoy Africa at its best. One of our travel experts will be in touch with you personally within 24 hours. We know that planning your safari is part of the journey, so we'll communicate any way you feel comfortable. If it's convenient for you, we'd love to telephone and discuss your safari, but we're just as happy to talk on email. Alice is Discover Africa’s Sales & Product Manager, responsible for managing the Discover Africa Sales Consultants as well as all the product and itineraries that we promote. Born in South Africa and passionate about anything travel related – Alice’s bucket list is purely travel/experience related. Loves sampling the different food and drink of each country. Meet Megan. She’s our Southern Africa Concierge expert. She can tell you what thread count a set of bed linen is, just by looking at it. 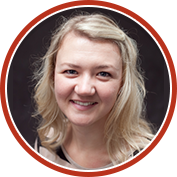 Megan has worked in the travel industry for more than 10 years and has travelled extensively in South Africa, Namibia, Mozambique, Swaziland and Lesotho. Matthys is our senior travel consultant, boasting with 10 years experience in the travel industry. Lived all over South Africa, loves the beach, bush and braai (South African better version of barbecue). Our story started way back in 1976, when founder Steve Conradie's grandfather Henry took him to the Kruger National Park for the first time. Throughout Steve's childhood, his grandfather took him on dozens of trips to South Africa's parks, teaching him about animals, birds, plants, landscapes and the lore of the bush. In three years he visited five continents: backpacking through Mozambique, snowboarding in the USA, exploring Europe, trekking through Thailand and living in Australia. Andre discovered what really matters to travellers when they're planning a trip and on the move. There weren't many online travel companies at that stage, so the duo got to work. They launched their first website Drive South Africa in 2002, offering car, 4x4 and motorhome rentals for people who wanted to explore as Steve had. In between their work responsibilities, Steve and Andre made time to visit Africa's most desirable destinations. They visited the Okavango Delta in Botswana, Namibia's Skeleton Coast, Victoria Falls in Zimbabwe, the Serengeti in Tanzania, and many other African destinations – both on and off the beaten path. It was during those trips that the vision for DiscoverAfrica.com was born: a website to curate Africa's most incredible safari experiences. Both Steve and Andre recognise that Africa is a unique and precious gift to humankind. As Africans bringing people from all over the world to experience this heritage, they believe it's their duty to do so ethically and mindfully.